André Villas-Boas retains the support of the Chelsea owner, Roman Abramovich, and the club's board despite what the manager concedes has been "the worst start for quite some time" to a season but the Portuguese admits that the Champions League game at Bayer Leverkusen on Wednesday has become "massive". There remains solid support behind the 34-year-old within the club's hierarchy, with an acknowledgement that his tenure is still very much in its infancy. 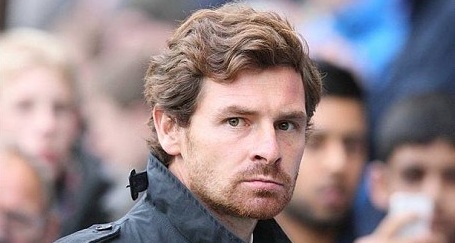 Villas-Boas was appointed with the future in mind, charged with overseeing the rejuvenation of this squad. Although there is concern at the current plight - anxiety that would be heightened should Chelsea lose in Germany on Wednesday - faith is retained that the management can recover the side's form. The players trained normally at Cobham on Monday, with those involved in Sunday's defeat to Liverpool conducting a warm-down session, though recent stuttering results have prompted some predictable grumblings of discontent within the dressing room. There have been suggestions that some senior players have been unsettled by the constant tinkering of the team's rearguard, with the side showing uncharacteristic vulnerability at the back. A move for Bolton Wanderers' England centre-back Gary Cahill is anticipated in the midwinter transfer window. The player would cost around £16m and would renew what has been a largely successful partnership with John Terry with the national side.